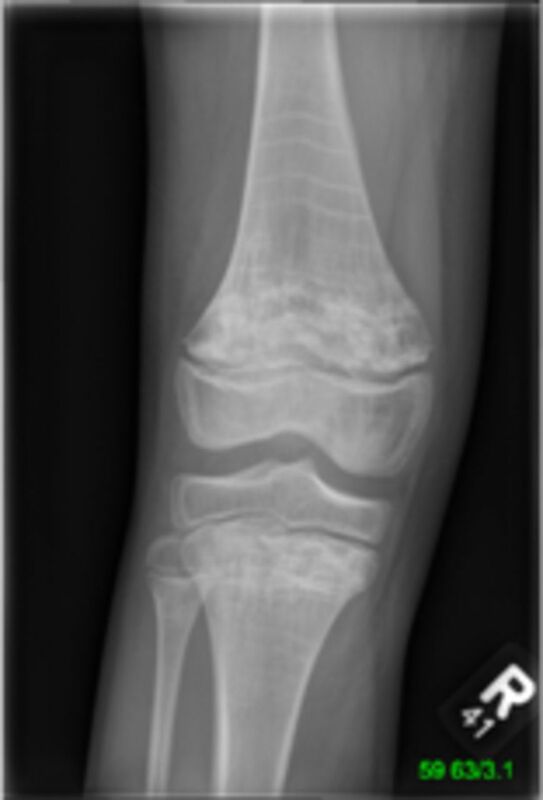 Case history A 9-year-old girl with autistic spectrum disorder (ASD) was admitted for a flare-up of chronic recurrent multi-osteomyelitis (CRMO). She complained of leg pain over 3 months, was unable to weight-bear and had a petechial rash for 10 days. She had bleeding gums and a long history of only eating custard and crackers. CRMO was diagnosed at age 3. She’d had shoulder, knee, and ankle involvement, two courses of pamidronate (2011 and 2015) and was currently taking simple analgesia. On examination, she was afebrile, with a widespread petechial rash, most pronounced over her ankles/shins. Her knees and ankles were tender; her ankles had small medial effusions. Investigations Mild hypochromic anaemia, normal platelets, white cell countand coagulation. CRP 16. 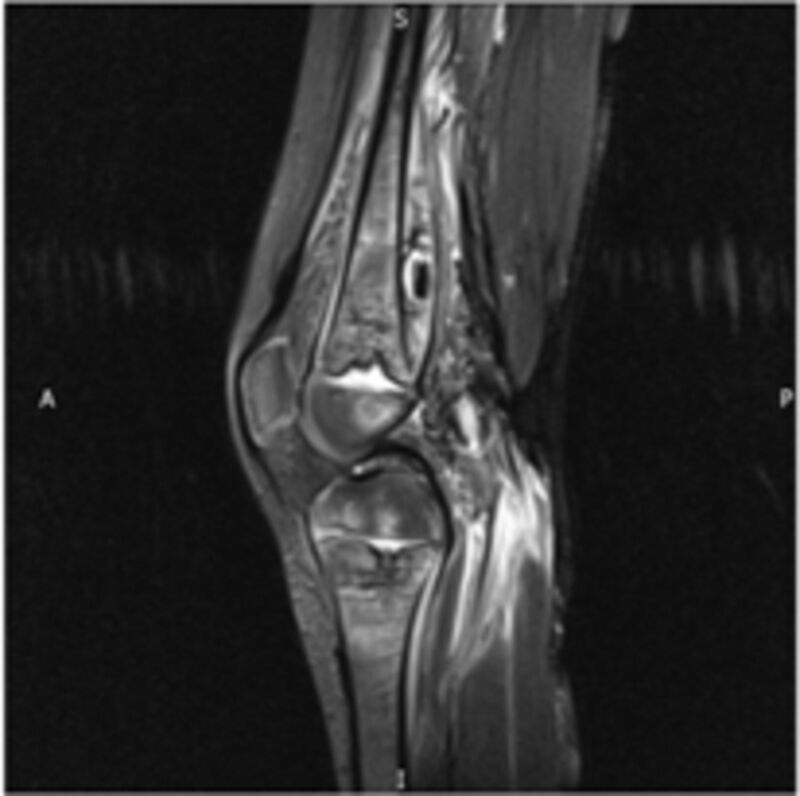 Figures 1 and 2 show her knee radiograph and MRI, respectively. Question 1 Give four differential diagnoses of petechial rash, bleeding gums and leg pain in an afebrile child? Question 2 Name three behaviours associated with ASD with health consequences.